Latest Hacking Tricks 2018-19 | Hacking Tricks: How To Open Banned Websites WIth Proxy Sites ? How To Open Banned Websites WIth Proxy Sites ? There are many sites which are blocked by government because of breaking laws of their country. The user downloads many softwares to open these sites but end up being infected by malware, virus. Today i will share a trick with you guys which can help you easily open these banned sites without downloading anything. 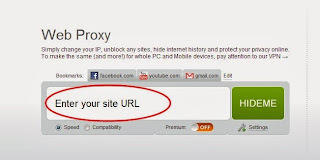 As you know that there are many online proxies but everyone need a proxy server which is faster and trusted. 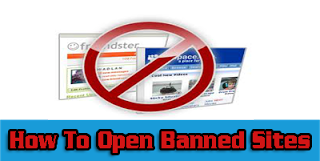 Here in this post I am revealing an online proxy and a tutorial to open banned sites with the help of these online proxies which is trusted and fast. Just follow my step to open banned sites. How To Open Banned Site ? 1. Open www.incloak.com in your browser. 2. After that enter the URL of the site which you want to open like below.